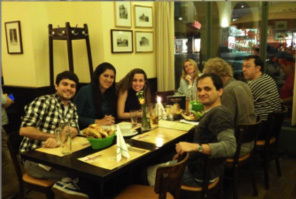 The 26th International Cartographic Conference of the ICA took place from 25-30 August 2013 in Dresden, Germany. 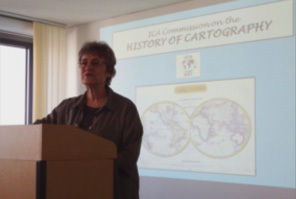 As a pre-conference event, the ICA Commission on the History of Cartography (Chair: Elri Liebenberg) in collaboration with the ICA Commission on Atlases (Chair: Peter Jordan) and the Joint ICA Working Group and IGU Commission on Toponymy (Chair: Paulo de Menezes) organised a Seminar on Historical Maps, Atlases and Toponymy at the Leibniz Institüt fur Länderkunde (Institute of Regional Geography), Schongauer Straße 9, Leipzig, Germany on Thursday 22 and Friday 23 August 2013. 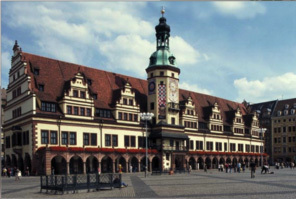 09:40 – 10:00 Sebastian LENTZ: A short introduction to the city of Leipzig. 10:00 – 10:20 JORDAN, Peter (Austria): Principles of place names rendering in the various kinds of atlases. Swiss school atlases during more than 100 years. 11:20 – 11:40 WOLODTSCHENKO, Alexander (Germany): Towards a cartosemiotic research of names in diverse atlases. 12:20 – 12:40 LOSANG, Eric (Germany): nationalatlanten.nationalatlas.de – An interactive database on national atlases. on maps of the American Midwest. at the beginning of the 20th century. developing countries: A need of the post-WTO era. 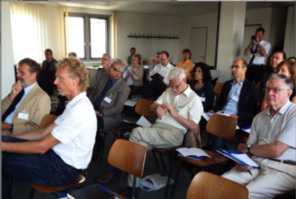 15:40 – 16:00 LOSANG, Eric (Germany): Geoimaginaries – A virtual research environment for the humanities. 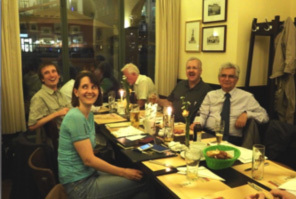 20:00 Social dinner, Restaurant Thüringer Hof, Burgstraße 19, Leipzig. 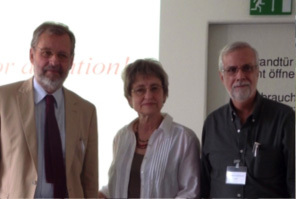 09:00 – 12: 00 Session 3: Place names on historical maps (Chair: Elri Liebenberg, South Africa). 09:00 – 09:20 Ormeling, Ferjan (Netherlands): Names on old maps. Jeppe’s and other maps of the Transvaal between 1877 and 1907. 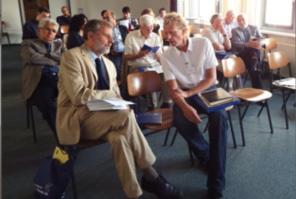 09:40 – 10:00 PALAGIANO, Cosimo (Italy): The shape of Italy on ancient maps. Turkey with special regard to Heinrich Kiepert. 10:40 – 11:00 GERšIč, Matjaž; KLADNIK, Drago (Slovenia): Cigale’s World Atlas and its impact on Slovenian exonyms. 11:00 – 11:20 MENEZES, Paulo de (Brazil): Linking Rio de Janeiro State, Brazil, through historical cartography and toponomy. Qing Dynasty and Mingguo Period. 12:00 – open end: Final discussion and closure.